Merry Christmas and Happy New Year from Arction team! 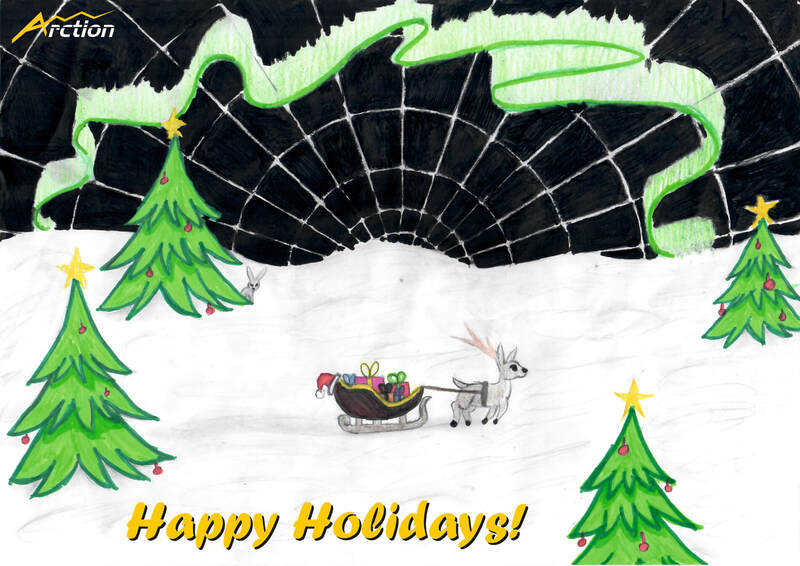 This year we have a special Christmas Card for you – our CEO’s daughter, Kamilla Tuomainen, got inspired by LightningChart running on a screen, and drew a picture of Lightning-reindeer from the Arctic circle. Northern Lights on a polar grid lead the warm greetings to developers’ families all around the world! We would like to wish happiness and prosperity to all of you! Have a wonderful holiday time with your beloved ones!